Parliamentarians in the recently-refurbished House of Assembly building in Road Town on Thursday, March 1. The long-awaited Freedom of Information and Consumer Protection bills are finally being introduced. 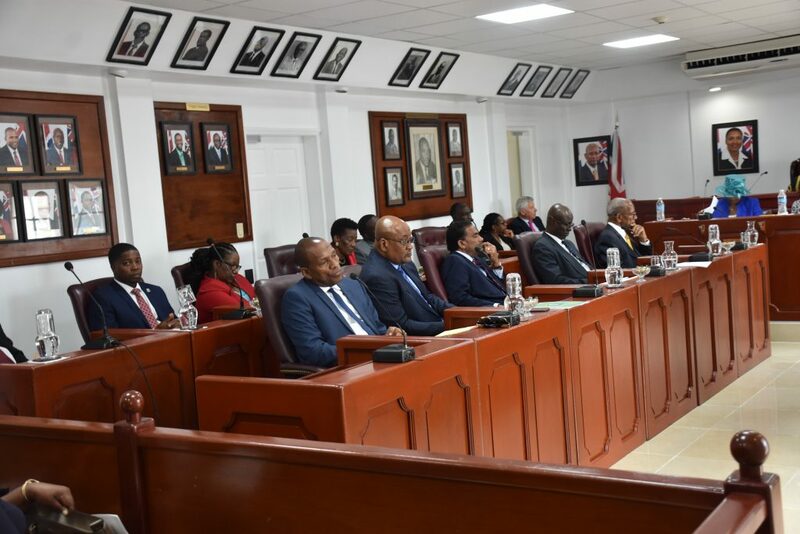 Governor Augustus Jaspert said the two bills will be presented during the third session of the third House of Assembly, which got underway yesterday (March 1). A large cross-section of residents has been clamouring for the two bills for years. “There is an unwavering commitment by our government to introduce a consumer protection bill during this (House of Assembly) session to facilitate an attractive business climate with fair business practices,” the Governor said. The Consumer Protection Bill will establish the rights of both the consumer and the business in an effort to create a ‘free-priced market economy’, he added. Price gouging, particularly after the recent hurricanes, was a major issue in the territory. It is anticipated that the bill will have that, and other unscrupulous business practices addressed. In the meantime, the other bill to be introduced in the House this year – Freedom of Information – will include ‘guidelines on how people can access public records without any exempted categories’. Governor Jaspert said the bill includes recommendations for the establishment of a Freedom of Information Unit that will provide the public with ‘the appropriate administrative mechanism to make and receive requests’. “This piece of legislation will allow for increased transparency and accountability of public affairs,” he noted. Up to this point, the bill has been nothing but a yet-to-be-materialized promise by local government. It is said that when passed, the true test of the bill will be how it is implemented in the territory. This gang cannot handle a freedom of Information Act. They will crumble. Maybe now we will see what really happened to the $7m we lent BVI Airways. Also, were the ministers aware of the massive cost overruns on the pier project while they were selling bonds to the public stating the the costs were much lower? “increased transparency and accountability of public affairs” ? Really ? Since when did the “No Direction Party” ever care about this! ? If only the public could demand freedom of information from a weak gov’t to publish yearly accounts… But yet we continue to let them get away with it…. 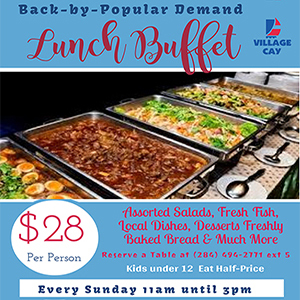 No wonder the BVI is on its path to oblivion…. These two pieces of critical legislation have overwhelming support among residents yet consumer protection and freedom of information have been SLOW walk for years. It makes one think that the hesitancy is deliberate and that some in government are dreadfully fearful of the two pieces of legislation becoming law. This behaviour is akin to Trump reluctance to say nada about the dictator Russian. We are sick and tired of being sick and tired of hearing that consumer protection and freedom of information legisalation are coming soon. We do not want hear anymore they coming this year; make it happen now, today, not tomorrow. Enough is enough. It is high noon and time for residents to agitate and advocate peacefully for getting these two pieces of critical legislation over the finish line today. Time is up. It is time to make politicians hear you. If the current gang is tone deaf, get a new gang that is not hearing impaired. The VI needs some positive action. National hero ( awarded belatedly) Noel Lloyd and PAM got positive results; they protected Wickham Cay and Anegada, keeping them both in local hands. C’mon people, complacency will be our demise. You have the power of the vote——-use it. Kick the under performers, the elitists, the panderers, lifers, pretenders, parasites ………to the curb. The Consumer Protection bill must include a section providing for the fair regulation of utilities as the Framework for the UK to BVI recovery loan mentions privatization. NO free market economy has unregulated privately owned utilities. Also….does it cover housing & construction? Rents? As in previous years, most items listed by the governor, are just a wish list, and the majority of them will not see the light of day, in this parliament or future sessions. Mark my words. Nice to have but in other jurisdictions such as the UK similar acts have made little difference to anything. They are mostly to pacify those making a fuss. Government departments will jerk you around for ever before providing any real information. The BVI has many more serious problems to address, noticeably the decimation of the work force and the increasing loss of businesses.